This arrives as a deluxe reissue 40 years after its original release, as fresh and beguiling as the day it was first released. In 1974, John was at the height of his songwriting and performing power, in the midst of an epic run of albums (this was his eighth in four years) that cemented the pianist’s lifelong reputation. The album’s classics—from “Candle in the Wind” to “Saturday Night’s All Right for Fighting” and beyond are here. It’s a rare double album without a moment of filler on it; the less familiar tracks pack just as much punch as the hits. Alas, the second disc features a set of uninspired cover versions of the famous tracks and then part of a live show. It’s a flat end to a great set. 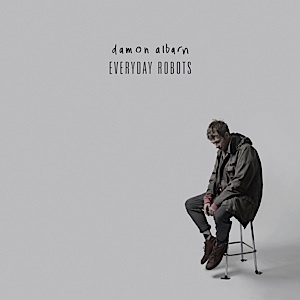 Damon Albarn has always had a dark, somber side, but when inside the likes of Blur or Gorillaz, that was tempered by explosive musical fits of fancy. His solo debut highlights the dark and quiet, and stays pretty moody throughout. 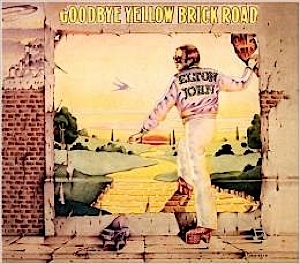 The opening line of the title track lets us know what’s on his mind: “We are everyday robots on our phones.” This sense of isolation through technology permeates the album, coming to the fore in tracks like “Lonely Press Play.” Musically, there’s plenty of interesting texture, aided by numerous collaborators, including mood master Brian Eno. It all combines to make an intriguing listen that defies easy and quick judgment. It’s an album that demands repeated listens, and one that rewards the listener for their efforts. Now that my formative years are several decades in the past, the albums of my youth are getting the deluxe reissue treatment. 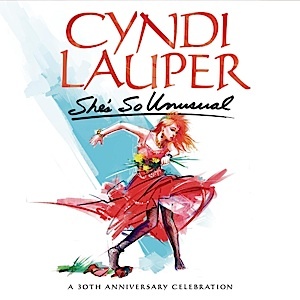 Three decades ago, Cyndi Lauper’s debut owned a large chunk of my high school. The singer’s bright look, bubbly voice and danceable tunes carried the day. Thirty years on, those elements are still strong, as is a deeper understanding of the message behind the pop. The album spawned a string of massive hits, from “Girls Just Want to Have Fun” to “Time After Time” to “She Bop.” The album is deep however (seven of the nine full-length tracks were issued as singles), which means the pleasures continue on throughout. The basic reissue is pretty sparse, though the “deluxe” version does include demos and b-sides. Well, you can’t say this young Australian ex-pat isn’t bursting with confidence, as the album title indicates. The heavily tipped hip-hop singer has been ready to explode for a couple of years, and her debut has earned her a number one album. This is a slick collection of hip-hop and modern dance music that is at its best—or at least, most interesting—when Azalea is the focus of attention and rapping away. The big-name guests don’t do much more than add some clout on the album credits, while her singing is largely just passable. Musically, the sound digs quite a bit deeper than the simplistic dance music pallet. She takes cues from a large swath of electronic music, giving the music needed texture.